When it comes to new or old buildings, now these two styles of construction can have the good of both worlds when it comes to effective sub-floor ventilation. This is intrinsically important, when it comes to family’s health and the health of home. Sub-floor damp and moulds can have an adverse effect on family’s health and home. If left unchecked, it can cause respiratory problems to loved ones and to homes structure. Excessive sub-floor dampness will affect timbers flooring structures sooner than later, not to mention leaving the user vulnerable to termite attack. A drier sub-floor area is a major deterrent to termites. Envirofan systems automatically expel humid air to the outside of user’s house through a fan-vent system, which replaces an air brick or a terra-cotta-vent which does not do much. It creates an air exchange in the sub-floor area to reduce moisture related problems such as excess humidity (which can encourage termites), mould growth, mildew, and alleviate conditions that aggravate asthma and allergy sufferers. How will sub-floor ventilation improve air quality? Air quality ranks high on the list of governmental environment concerns. The air in many homes contains harmful pollutants that are invisible, odourless and not readily detected. These substances can be more detrimental than the air outside and can cause health problems such as irritated eyes and nose, headaches, dizziness, vomiting, tiredness, infections and respiratory diseases. When windows and doors are closed, the house cannot breathe and rid itself of these elements. Moisture in sub-floor areas which penetrate through wooden floors, underlay and carpet, further aggravates this condition, by having the capacity to entrap all these pollutants, and then combined with humidity from the sub-floor is a poisonous cocktail. Moulds grow usually in damp places; without the moisture they could not get started much less spread. When sub-floor moisture is present, the mould will begin to take hold. The mild moulds can cause health problems, including sinus and respiratory infections and asthma. More severe lethal moulds can develop in highly saturated areas. Experts blame the mould epidemic to energy efficient designed homes, with air tightness that traps moisture and poor sub-floor ventilation that facilitates its growth. Envirofan will expel gases (i.e. carbon monoxide, radon), toxins, and pollutants that have accumulated in the sub-floor area and ultimately decrease drastically the amount of pollutants in the home by diverting it outside. Ventilation is essential for family’s health, and reduction of excess moisture will protect the structure of home. A conventional dehumidifier will not ventilate the sub-floor area, and what is more, the rejected water in its storage container is a breeding ground for more bacteria. Priority is to decrease the concentration of air pollutants and moisture to acceptable levels through increased sub-floor ventilation of the home. How quickly should the user expect to see results? Sub-floor ventilation is an air replacement process that removes humid air by extraction and ingresses drier air from the outside. This displacement process of success will vary in time, depending on the size of the home and the amount of sub-floor systems used. The majority of homeowners will see results relatively quickly within a few weeks. What model does the user need? The installation of Envirofan systems will depend on the style of home, the size of sub-floor area and strategic placements of the sub-floor systems. Envirofan sub-floor ventilation systems have the right mix in design, when it comes to effective sub-floor ventilation for old and new buildings. The Envirofan Heritage quad fan (EF10-4H) sub-floor ventilation systems are designed for older buildings. The Envirofan quad fan (EF10-4B) sub-floor ventilation systems, is designed for modern building. 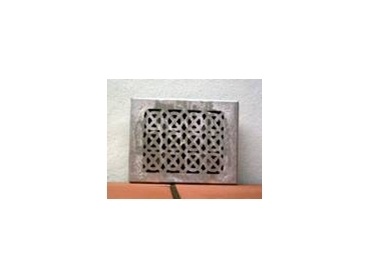 Envirofan dual fan systems brick size profile is also available in both styles. Therefore no matter what kind of building type whether old or new, Envirofan heritage or modern sub-floor ventilation systems has got the user covered, when it comes to the health of loved ones and the health of home.